FORMER UK ambassador Craig Murray, who was controversially removed from his post by Tony Blair’s government a decade ago, is in line to be selected as an SNP candidate in a Westminster target seat for the party. Mr Murray told The Scotsman that SNP members in the party’s branch in Airdrie and Shotts, whose seat is held by Labour’s Pamela Nash, have nominated him to fight for the nationalists at the 2015 general election. Mr Murray, who campaigned for a Yes vote in the independence referendum, also controversially described No supporters as “either evil, or quite extraordinarily thick”. However, he said he had also been approached about standing in other constituencies such as Falkirk – a key nationalist target where sitting MP Eric Joyce is standing down after being forced out of Labour following a conviction for assaulting Tory politicians in the Commons. 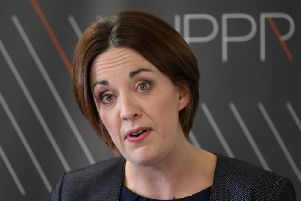 The SNP is expected to begin a formal selection process in the coming weeks, when other members will have the chance to seek selection as an SNP candidate in the seat, which Ms Nash took for Labour with a majority of 12,408 in 2010. Mr Murray is likely to face a challenge from SNP activist Tom Montgomery for the Airdrie and Shotts nomination. Labour has called on SNP leader Nicola Sturgeon to prevent Mr Murray being selected as a candidate because of his remarks about No voters.